Oulton Park provides first-class 24-hour nursing care for older people in need of support, alongside expert care for those with dementia in our dedicated Memory Lane Community. We also offer respite care, which can now be pre-booked up to a year in advance. The home achieved Dementia Care Butterfly Status in October 2012, an award shared with only 28 care homes across the UK. 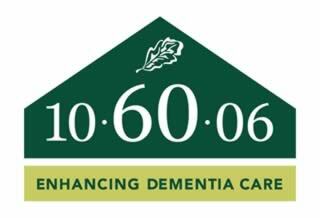 We are also proud to be one of the first homes to be accredited as part of Barchester’s 10-60-06 Dementia Care programme, reflecting the enhanced quality of dementia care and improved quality of life experienced by residents here at Outlon Park. Our home is conveniently located in a semi-rural position close to the Blue Flag beach of Lowestoft and at the heart of the Broads, allowing residents to enjoy both the countryside and seaside. Why not arrange a visit or call in for a cup of tea and experience Oulton Park for yourself? We are always happy to discuss how we can best meet your needs. We are situated at the end of Union Lane. Please be sure to follow the road for about a quarter of a mile until Union Lane veers right into Allington Smith Close, and you will see our sign.